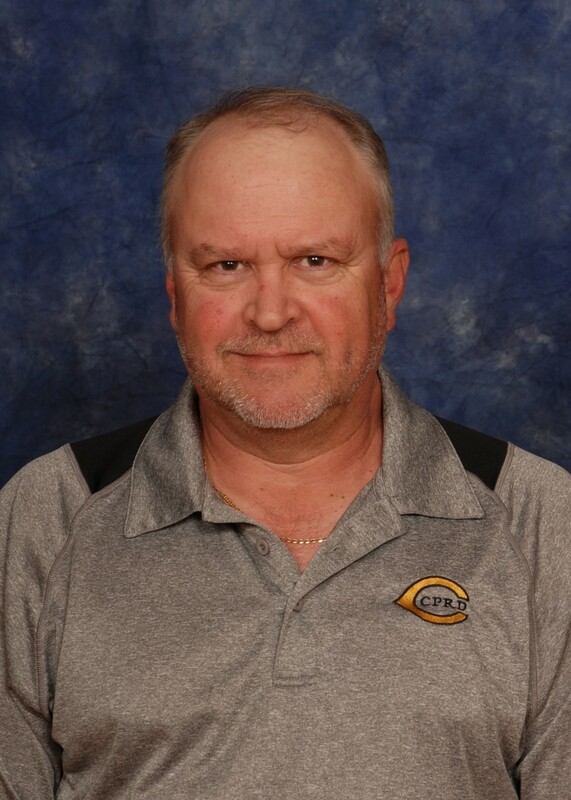 Growing up in Carrollton, Peter had the opportunity to take part in the Carrollton Parks and Recreation Department Athletic Programs and learned from a young age the impact parks and recreation can have on a community. He is a graduate of Carrollton High School, and graduated from the University of West Georgia with a degree in Parks and Recreation Management. 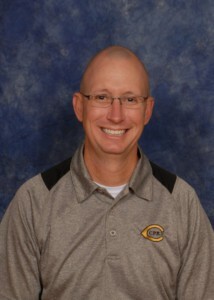 He took a position with the City of Carrollton in the spring of 1999 as a Program Coordinator. In 2002, he became the Superintendent of Aquatics and began pursuing his Master’s degree in Public Administration. 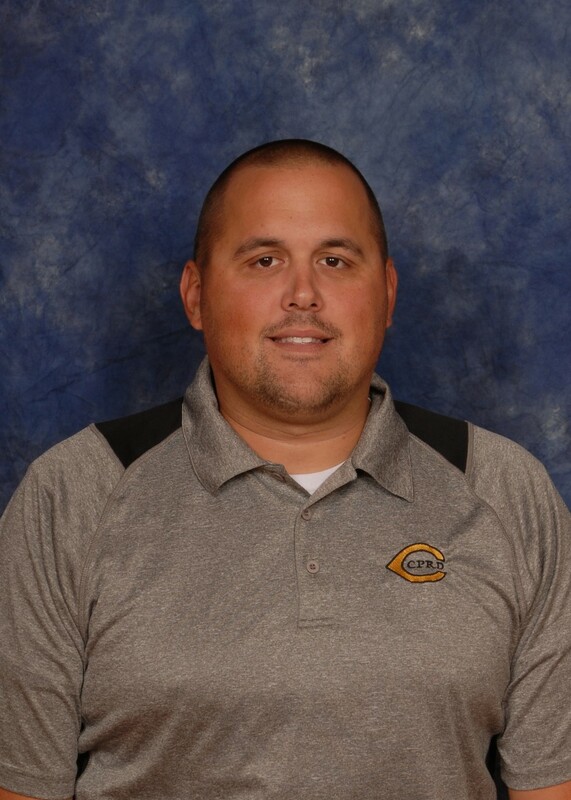 After completing his Master’s degree he was fortunate to have the opportunity to combine the aquatics division and the athletic division and become Superintendent of Athletics. In January of 2012 he became the director for the parks and recreation department. He is married to Mandy Malloy Maierhofer and they have three daughters. 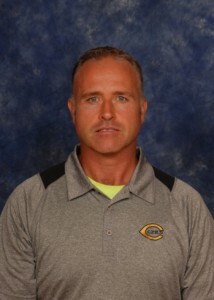 His hobbies include reading, running, watching sports, and being an active parent with his daughters. Thera is a native of Toledo, Ohio where she graduated from the University of Toledo with a Bachelor of Early Childhood Education and a Masters in Special Education. Thera is married to her loving husband Brian and has two children Kaylyn and Austin. Thera has a wealth of knowledge of Gymnastics and Cheerleading. Thera cheered at the College level at the University of Toledo. 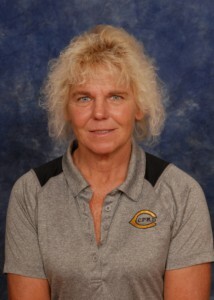 Thera has also been coaching gymnastics for 23 years. 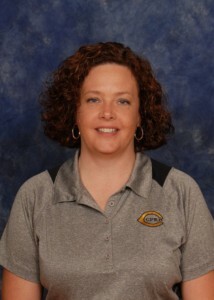 She previously coached with the South Toledo Gymcats where she had competed as a Level 8 gymnast. While coaching at South Toledo she coached gymnastics competitive levels 4-10, toddler classes, preschool classes, and a cheerleading all-star team. Thera worked as the assistant director and was in charge of class enrollment, staffing, providing staff clinics and training. 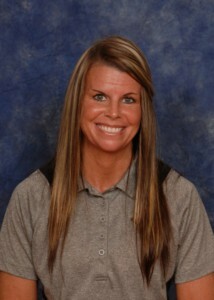 Thera also coached at Notre Dame Academy for 9 years where she coached High School gymnastics. 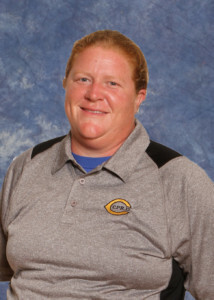 While coaching at NDA she was selected District Coach of the Year twice, had numerous state qualifiers and her team were city champs from 1999 until she left in 2008. Thera was a USAG rated official for 12 years and also judged high school gymnastics in Ohio. She is also a member of USAG, AAU, and is safety certified. Janice began working for the Carrollton Parks, and Recreation Department in November 2007. She graduated at Ranburne High School and attended West Georgia in Office Management. She came to work at CPRCD after 24 years with Bremen Bowdon Investment in Quality Control. She has two daughters and six grandchildren whom she enjoys spending time with. She enjoys cooking, reading, going to the beach, the mountains, and spending time with family and friends. Shirley came to CPRD in 2004 after twenty-five years as an Administrative Secretary with the Georgia Tech EDI Field Offices in Carrollton and Newnan. She has a B.S. in Education from Brenau University in Gainesville, GA. Shirley is married to James Hewitt. They have four active grandchildren who keep them on the go. She enjoys spending time with family and friends. 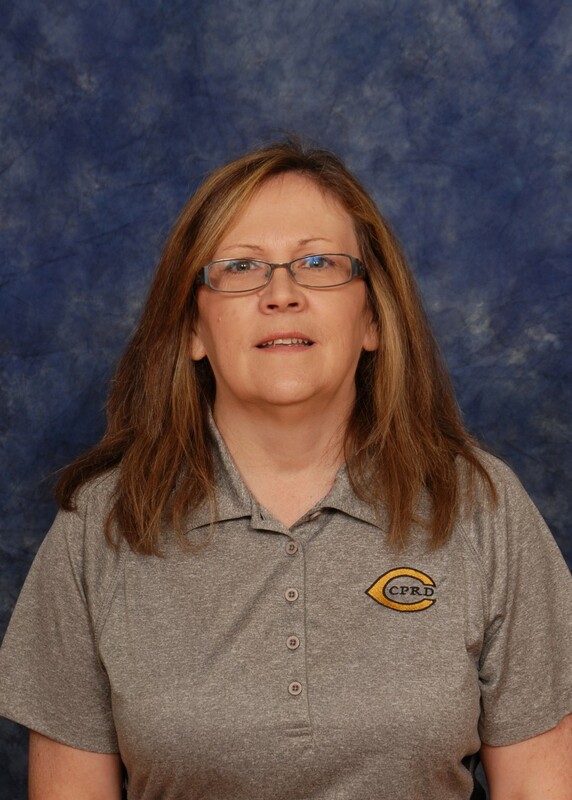 Renee started working with CPRD in April 2016 after 23 years of working in Pharmacy. She is married to Jason Cash and has two children Mikayla and Parker. She also has two grandchildren Mary Grace and Ema Clair. She loves shopping, spending time with friends and family. She is a member of West Metro Church of Christ in Hiram. Donna Ford came to Carrollton Parks and Recreation Department in 1984 from the Anniston Parks and Recreation Department in Anniston, Alabama. She was Director of the Lenlock Community Center and Executive Director of the Anniston Arts Council. 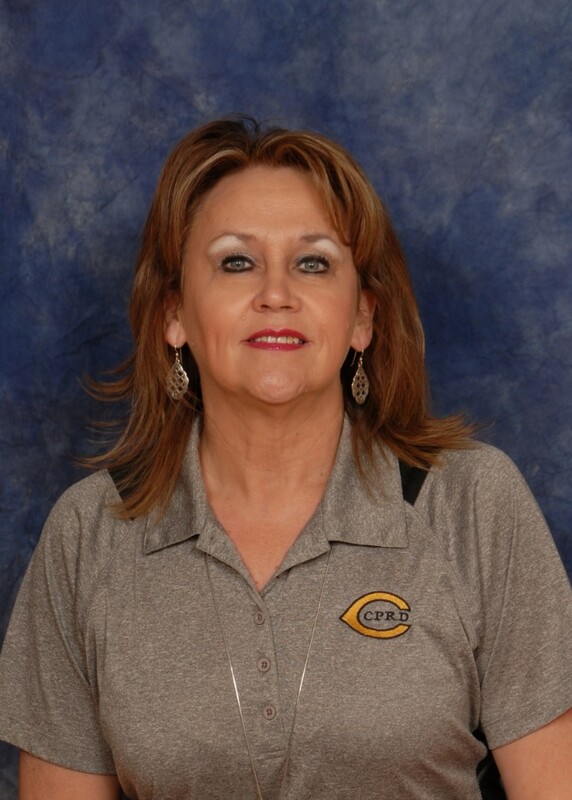 She has held many positions in the Carrollton department and oversees the Program Division. She has a full-time staff of eight responsible for Senior Adult Programs, Therapeutic Programs, Gymnastics, Special Events, Leisure Programs, Bonner Fitness Center and Concessions. She has won numerous awards for innovative programming over the years from the Georgia Recreation and Park Association. She was also the Director of Carrollton Main Street when the program was a part of Carrollton Parks, Recreation and Cultural Arts Department. Donna graduated from Hood College in Frederick, Maryland in 1979 with a B.A. degree in Recreation and Spanish. She also attended Springfield College in Springfield, Massachusetts and did an internship at Laughing Brook Wildlife and Environmental Education Center. 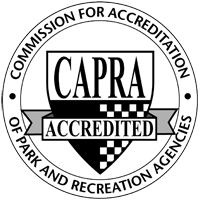 Donna is nationally certified by the National Recreation and Park Association as a Certified Parks and Recreation Professional. She is also a certified Adaptive Sports Specialist II through Blaze Sports America. Donna and her husband Thomas have two children, Nicholas and Christine and have lived in Carrollton for 34 years. Her children were active members of the Bluefin Swim Team for 10 years. Donna’s passion is working with senior adults and persons with disabilities. Danielle was raised in Lilburn, Georgia and came to Carrollton to attend the University of West Georgia. She was a Therapeutic Recreation major and did her internship with the Carrollton Parks and Recreation Department. In 1997 she was hired full time as the Carrollton Senior Center Manager. Danielle returned to school at UWG and earned a Master’s Degree in Gerontology in 2001. She also has certifications as a Certified Therapeutic Recreation Specialist and a Certified Park and Recreation Professional. 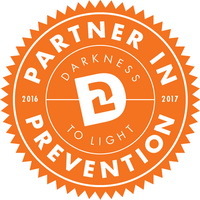 Danielle is actively involved with the Carroll County Council on Aging, The Alzheimer’s Group of Carroll County, Inc., TRIAD, and Georgia Recreation and Park Association. Danielle has always loved being around older adults. When she was young her great aunt that had Alzheimer’s disease lived with her family. Danielle helped her mother take care of her for seven years. This paved the way to her career choice and her love for the older adult population. Danielle loves the diverse programs and activities that are offered at the Senior Center. She has met many wonderful and interesting people there over the past 21 years. Danielle has two sons, Joseph and Bryson. Lisa was born and raised here in the Carrollton area. She graduated from the State University of West Georgia with a Master’s Degree in Gerontology. Lisa worked in the Social Work Case Management Department at Tanner Medical Center-Carrollton for 6 years where she coordinated the Respite Care Program. She currently serves as an Executive Board Member of The Alzheimer’s Group of Carroll County, Inc, and secretary of the group. Lisa also facilitated the Alzheimer’s support group for 14 years. Lisa has been working at the Senior Center since July 2011 and she loves it! What a great bunch of senior adults we have in Carrollton. 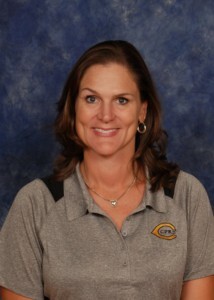 Lisa and her husband Jay currently live in the Carrollton area with their 2 sons. Angela Boling was born and reared in Alabama. She moved to Georgia in 1990 and currently resides here with her children Brittanie and BJ along with her grandson Amare’. Angela began working at the Senior Center in 1990 as a part time cook and is currently the Food Service Manager. With several years of restaurant management she is ServSafe Certified as well as ServSafe Allergen Certified. In her spare time she is pursuing a degree in Business Administrative Technology. Each day she looks forward to serving the Senior Adults who come into the center as well as those who are home delivered meal recipients. Angela says, ” If I love what I do then it is not work” and providing the Seniors with a great meal every day is what I love to do. If they are happy then my job is done. 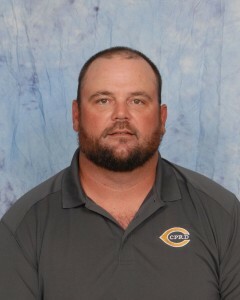 Thomas Sutton is the new Therapeutic Coordinator for the CPRD. He is originally from the city of Liverpool, England. He immigrated to the United States 4 years ago after marrying his wife, Ashley Sutton, who teaches Special Education at Carrollton High School. He has ten years of experience working with diverse groups of people in a variety of settings. At the age of 18 he had the opportunity to take part in a program called Camp America. He was offered a position in America through Easter Seals. He worked at Camp ASCCA (Alabama’s Special Camp for Children and Adults) at Lake Martin . This is a fully adapted, outdoor, therapeutic recreation, summer camp for children and adults with physical and developmental disabilities. As a counselor he was responsible for the total care and supervision of the campers. His eyes were opened to the endless possibilities for individuals with disabilities and how he could support them in achieving their goals to become as independent as possible. He returned home with a clearer understanding of the career he wanted to pursue. He traveled extensively around the world and worked with senior adults diagnosed with Dementia and with individuals with Autism. He received his degree in Social Work at Leeds Beckett University. He did volunteer work in Carrollton under the direction of Tracey Young and participated in many Special Olympic programs. He knows many of the participants and volunteers associated with Carrollton Parks, Recreation and Cultural Arts Department’s therapeutic programs. 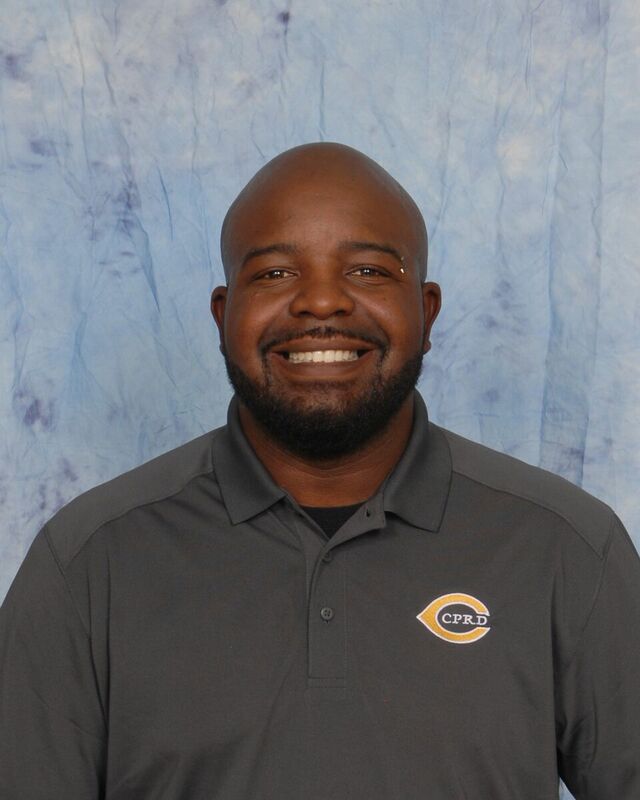 He worked for Briggs and Associates before taking his new position as Therapeutic Coordinator with the Carrollton Parks and Recreation Department. My name is Dottee Morton and I am the Special Events/Programs Coordinator for Carrollton Parks and Recreation Department. 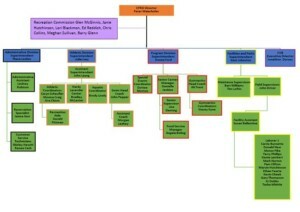 I have been with the department since 1998 serving in many positions. I started out in 1994 part-time in the Athletic division which sports is my true love. At that time I was working full-time at the Carrollton Elementary School from 1992 to 1998 when I was asked to go full-time with the department and I have never looked back. I have been in positions with Athletics, Administration and now with programs. I am now coordinating the Fitness programs, Martial Arts, Tumbling and Cheerleading, Concessions, Training of our volunteers and all Special Events. I am very heavily involved in our National, State and District Parks recreation associations. I am originally from Pennsylvania and have lived all over the United States but now have called my home Carrollton over the last 31 years. I am married to Richard Morton with two children, Brandi and Kreig who grew up in the recreation department. My husband and I coached our children throughout the years and now we are coaching our grandchildren, Kambrie, Dylan and Kynleigh which is three of the greatest things in my life! 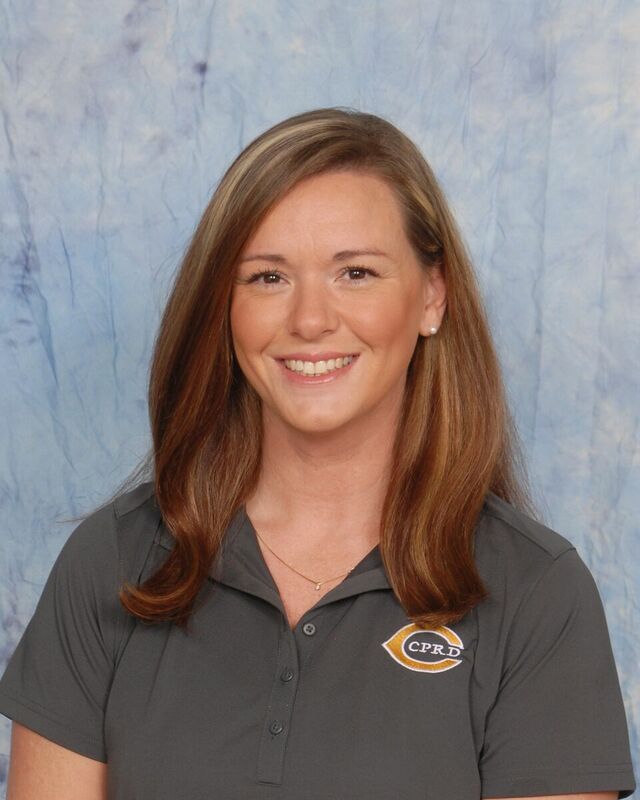 Kaitlyn Gosnell began working part-time at CPRD in 2013. She worked part-time with the Gymnastics Program under Thera Loolen and Ali Trent June 2013 – June 2017. In September of 2018- present, Kaitlyn became a full-time employee as a Gymnastics Coordinator. During her college career at the University of West Georgia, she obtained her Bachelors in Criminal Justice and a Paralegal Certificate. Kaitlyn participated in competitive gymnastics for ten years, while being a Carrollton Flexette herself for many of those years. Once she finished her last gymnastics season she starting coaching, which lasted six years. In that time, Kaitlyn was a Carrollton Flexette Gymnastics coach for four years. Kaitlyn recently married Will Gosnell in September 2018. Kaitlyn is an active member of Bethlehem United Methodist Church in Bremen. Kaitlyn enjoys spending her spare time kayaking, hiking, and playing with her dog Harley. For more than 20 years Samantha has been actively involved in the sport of gymnastics. After working her way through gymnastics classes at a young age, she had the opportunity to join The Carrollton Flexettes as a member of their competitive team. Sam competed up to level 7 before turning in her leotard to pursue coaching. Sam coached the USAG Level 4 and 5 teams for the Carrollton Flexettes as well as instructed various classes of all age and skill levels for 3 years before moving to Athens to attend the University of Georgia. While pursuing her college education, Sam joined the staff at Classic City Gymnastics owned by Jay Clarke (current associate head gymnastics coach at LSU) and his wife Julie Ballard Clarke (former Georgia gym dog). She was given an opportunity to work with some of the country’s top coaches and gymnasts for 5 years. NCAA gymnastics coaches; such as, Doug McAvin, the vault coach for the Gym Dogs, frequented Classic City Gymnastics and assisted with coaching and mentoring weekly. Classic City Gymnastics; where Sam was given an opportunity to learn from the best. 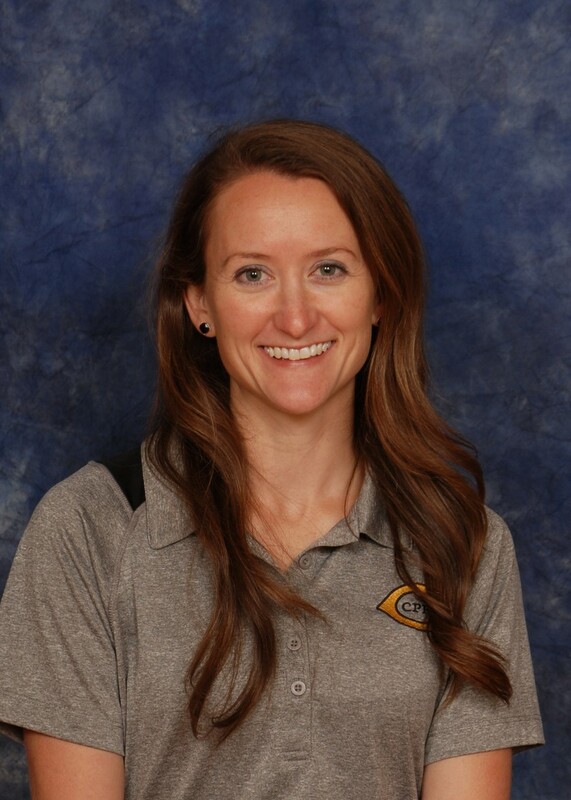 While coaching for Classic City, Sam had the responsibility of instructing classes and working as a competitive team coach for USAG levels 3-6 as well as coaching all-star cheerleading. It was an honor for Sam to be given the opportunity to work each day guiding such talented athletes and helping them polish, perfect, and practice their skills. Samantha cheered both sideline and competitive at Carrollton and Villa Rica high schools, winning both state and regional titles. Another proud accomplishment in the gymnastics world that Sam holds close to her heart is the participation of my own daughter in the sport of gymnastics. Sam looks forward to watching her daughter, Payton grow excel through this sport if she chooses to stick with it. I owe the person I am today, my work ethic, and my determination to be successful all to my years spent in gymnastics. My experience in this gym with my daughter and these coaches is some that I look forward to sharing with the Carrollton Flexettes. Julie is a native of Carrollton and graduate of Carrollton High School. She grew up playing every sport our department offered. She is a 1985 graduate of West Georgia College with a B.S. in Recreation Administration. She began her career as a Leisure Program Coordinator with the Carrollton Parks, Recreation, and Cultural Arts Department from 1985-2001. In 2001, she became Assistant Director of the Carroll County Parks and Recreation Department and remained there until July 2008. From August 2008-November 2009, she was the Aquatics Coordinator at Boundary Waters Aquatic Center which is part of the Douglas Co. Parks and Recreation Department. 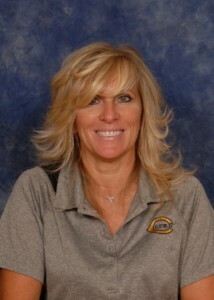 Julie was fortunate enough to be able to return home and become an Athletic Coordinator in November of 2009. 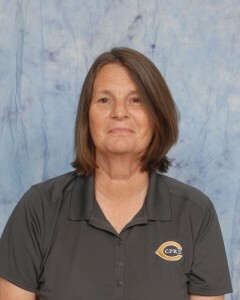 She became the Superintendent of Athletics/Aquatics in December 2011. She carries many certifications including the CPRP (Certified Parks/Recreation Professional), Aquatics Facility Operator, and American Red Cross Lifeguard Training. 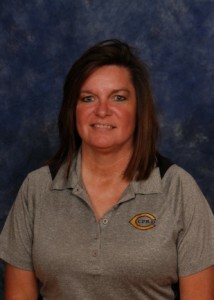 She has been, and still is, a member of the GRPA State Athletic Committee for the past 5 years. 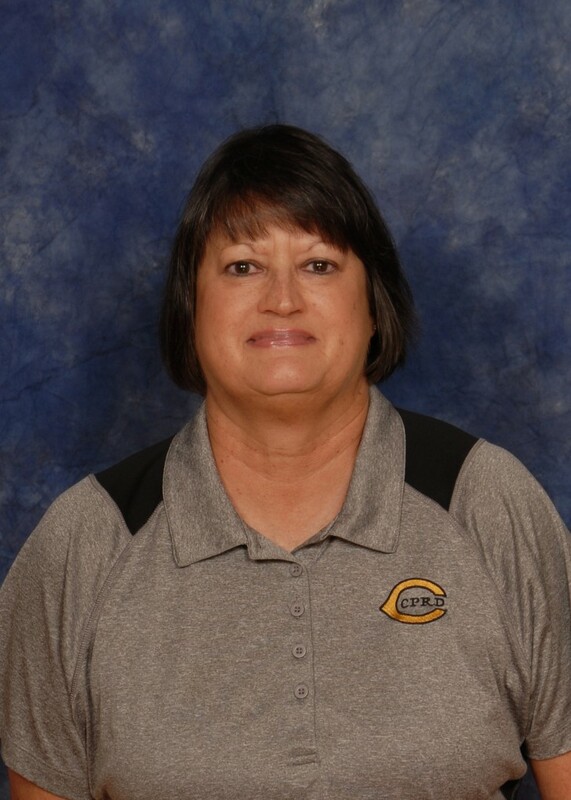 She is a member of Carrollton First United Methodist, Carrollton Athletic Booster Club and the Trojan Hall of Fame Nominating Committee. Julie is married to Lance Ivey and they have a grown son, Blake, who is a graduate of UWG with a BS in Mass Communications. In her spare time, she and Lance love to attend UGA and CHS football games where they are diehard fans and season ticket holders. John grew up in Snellville, GA. 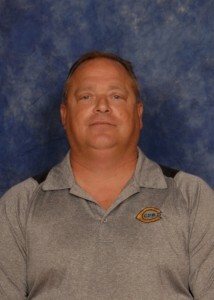 He worked for CPRCAD from 2000-2005 part-time while in College, as a Lifeguard, and in the Athletic Division. 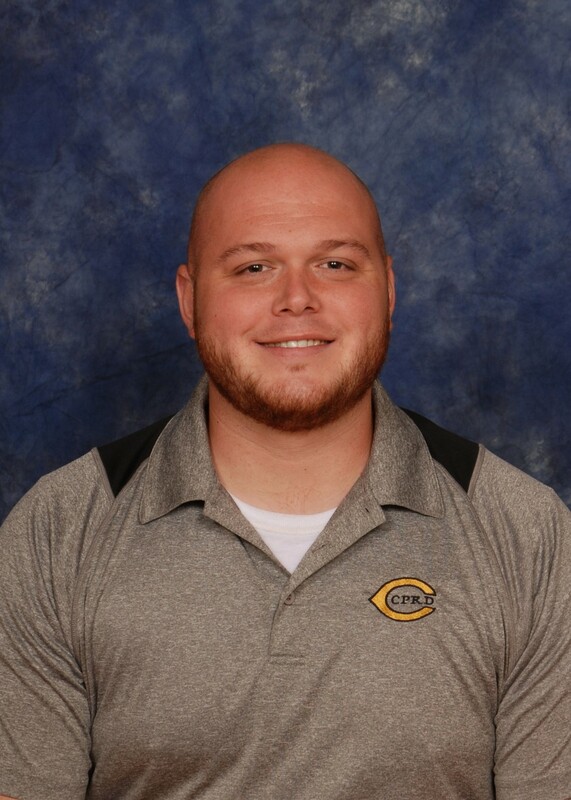 He graduated from West Georgia in 2005 with a degree in Parks and Recreation Management. After graduation, John worked for nine years in minor league baseball with the Atlanta Braves Organization. 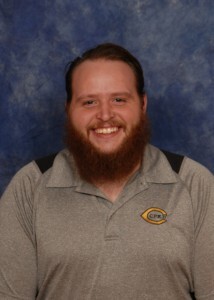 He was fortunate to be able to return to the department in August 2014 as an Aquatics Coordinator, and was responsible for all programming at the Lakeshore Natatorium and Midtown Water Park. 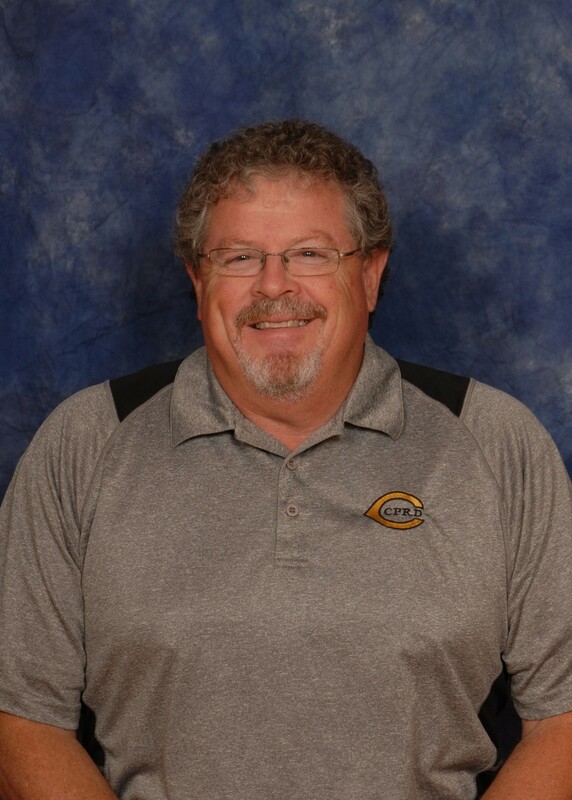 In July, 2015 John became the Assistant Superintendent of Athletics/Aquatics. He is responsible for all Youth Football, Basketball and Baseball. 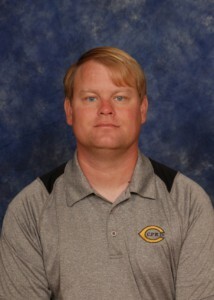 His wife Lauren is a teacher at Carrollton Elementary School, and they have two sons Tripp & Brady. His hobbies include watching sports, and being on the lake. A longtime resident of Carrollton, Ga Native of Villa Rica, Georgia, Bradley has always had a strong passion and commitment for helping others in the community. 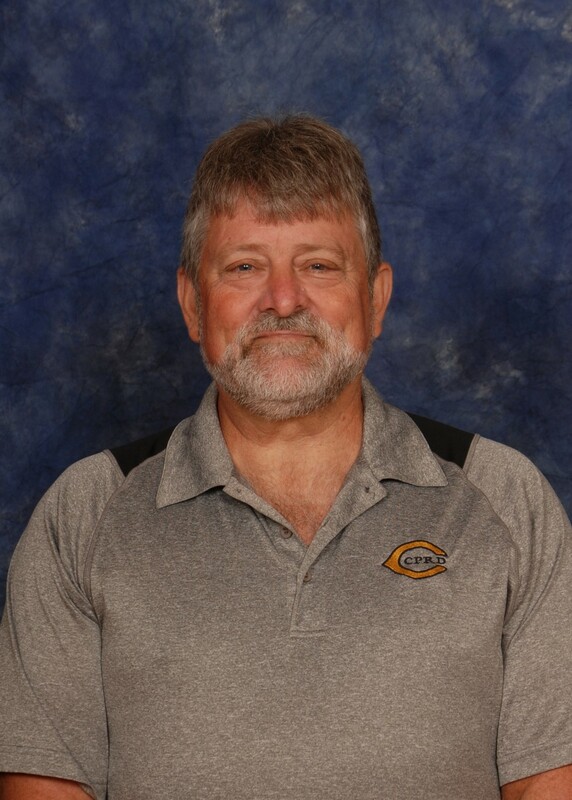 He began working for the Carrollton, Parks, Recreation, and Cultural Arts Department in the fall of 1988 as an after-school recreation coordinator. In 1990, in collaboration with the Carrollton Housing Authority he served as an after-school coordinator for a pilot program that began in Davis Plaza. 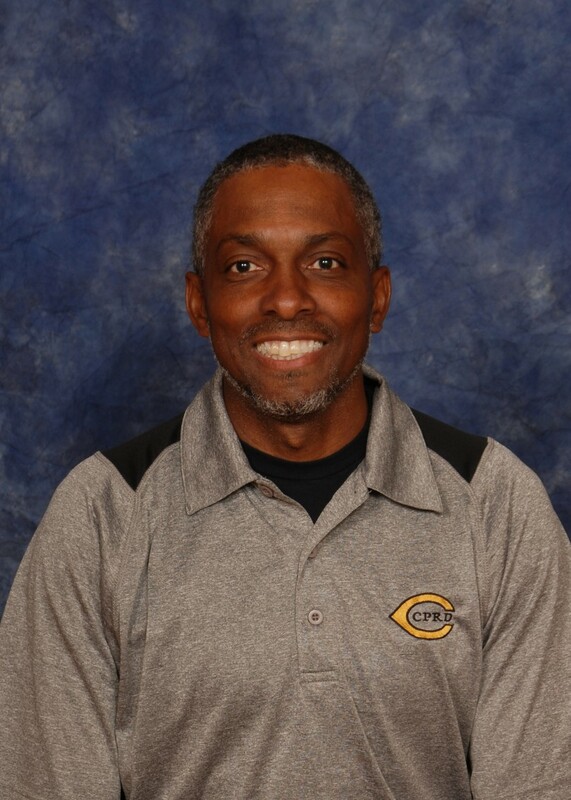 In 1995, he began working for the Catherine Hardy Lavender Recreation Center as a recreation aide and now he serves as a program coordinator/athletic coordinator for the CHL facility. Programming responsibilities include the Catherine Hardy Lavender Center, Track, and Cross Country. Bradley is a loving husband, proud father of three children, and grandfather of two. Ora is a native of Carrollton and graduate from Villa Rica High School. She participated in basketball and track with the recreation department at a young age. She continued playing both sports throughout high school. 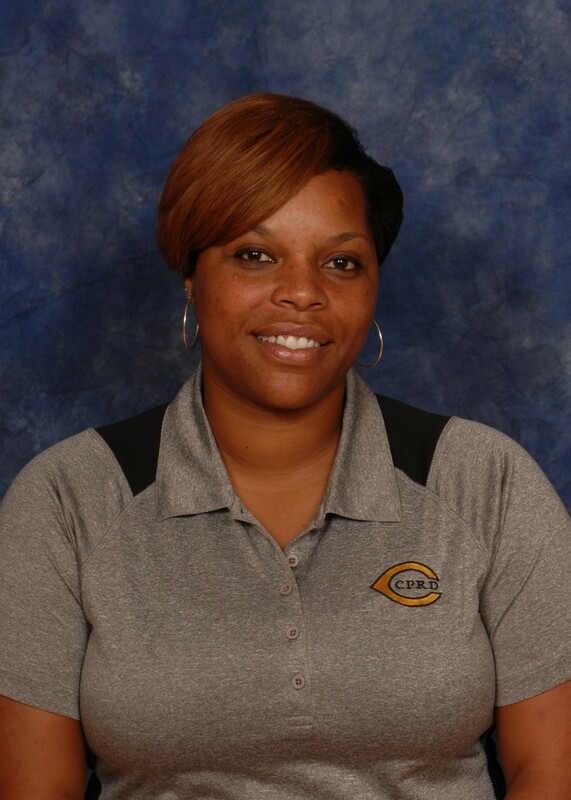 She started her coaching career at Villa Rica Recreation Department with the Track Program from 2001-2002.She had the opportunity to be a part of the coaching staff at Carroll County Recreation Department from 2006-2012 while in college. In 2007, Ora graduated from the University of West Georgia with a B.S in Science in Sport Management. 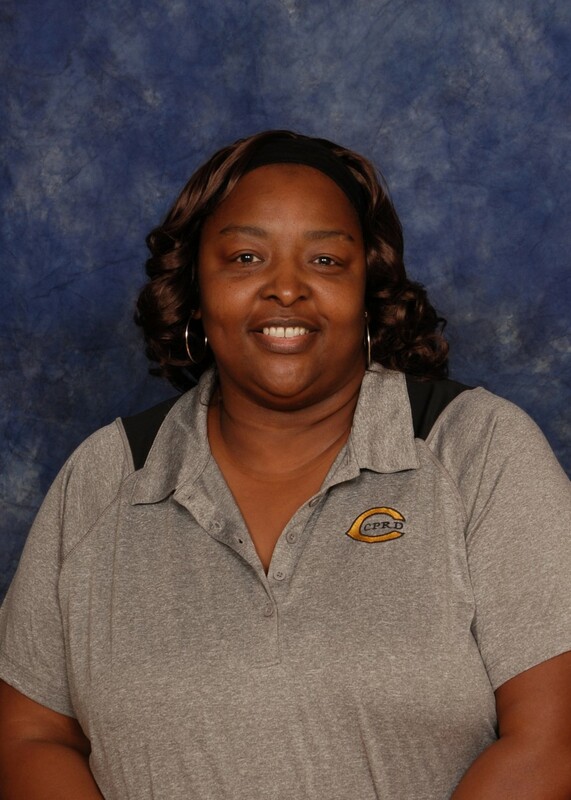 Ora worked in the school system for five years at Carrollton Elementary School with the Special Education Department. She was fortunate enough to become a part of Carrollton Park and Recreation Department as an Athletic Coordinator in January 2016 for two sports Cross Country and Spring Youth Track and Field. Ora is married to Sandor Chism and they have a daughter Saniyah who attends Carrollton City Schools. In her spare time she enjoys travelling, listening to music, dancing and supporting young athletes in our community. I moved to Carrollton when I was 8. While growing up in Carrollton, I participated in soccer and softball through CPRCAD. I received a soccer scholarship to play soccer at Young Harris and then onto University of Tennessee at Martin to finish my college career. While in playing in college I receive numerous awards in soccer. They were All-America, Most Valuable Keeper at the NJCAA National Tournament, MVP 3 years straight, Team Co-Captain, 2nd team all OVC, 1st team all OVC, and OVC tournament team. After graduating, I moved back to Carrollton and then in 2006 I started working at CPRCAD. I have been in charge of the soccer program while working for CPRCAD. I have seen the program change from a small town Recreation program to a thriving small club. I love working with the soccer program and watching new comers to the sport to old veterans play and love the sport I grew up playing. 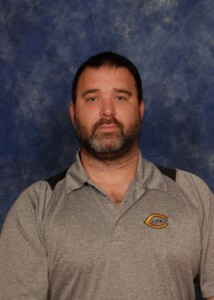 John joined the team in 2005 as a part time assistant coach and then became the full time assistant coach in 2007. 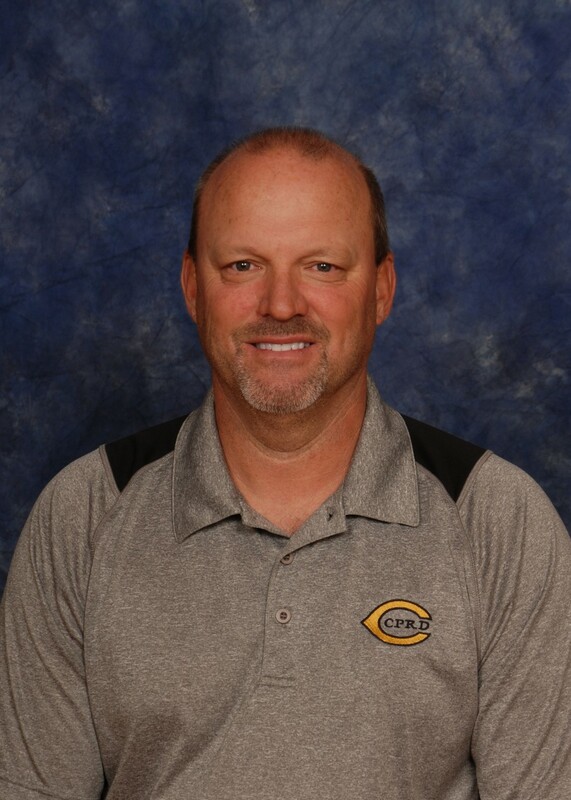 He started his swimming career with the Smyrna Swim Team in 1987 and then began swimming year round with the Stingrays in Cobb County from 1987 – 1993 and swam with Campbell High School from 1989 to 1993. He was also a member of the Georgia Zone Team in 1992. He is attending University of West Georgia working on his major in Psychology. John has been a member of the American Swim Coaches Association (ASCA) since 2007 and USA Swimming since 2006 along with being a coaching staff member of the Georgia Zone Team in 2008, 2009, 2010 & 2013. He and his wife Sydney live in Villa Rica with their three dogs Hershey, Oliver and Sargent. John became the Head Coach in 2015. Monica has been a part of Carrollton Parks, Recreation and Cultural Arts Department since March of 2007. She worked part-time with the Therapeutic Department under Tracey Young helping with the Special Needs Program from March 2007-December 2011. In January of 2012-present, Monica became a full-time employee with the department as an Athletic Coordinator. 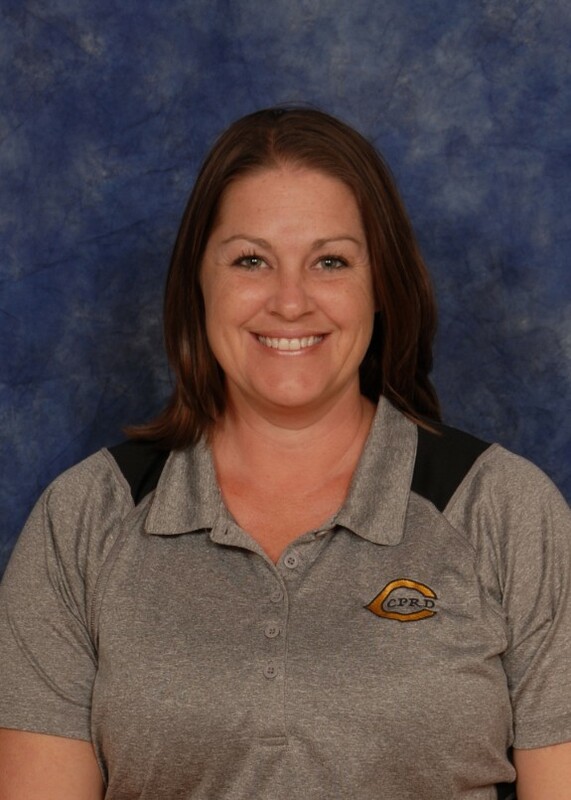 In her 3 years with our department, Monica has started 2 new and up and coming programs in Girl’s Volleyball and Youth Lacrosse to go along with our girls softball, basketball, 5/6 coed t-ball, and flag football. Monica was recently name 2014’s Athletic Professional of The Year at our GRPA Fourth District Banquet held back in October. Born and raised in Henry County, Monica attended Henry County High School. She was a 4 year starter and team captain on the Softball and Basketball teams, an honor student, and a graduate in the top 10% of her senior class. Monica attended Lagrange College and majored in Business Administration. She also continued her basketball and softball career there as well. Monica really enjoys life in the world of recreation and takes great pride in helping each participant in her programs learn, grow, and improve their skills to become the best that they can be. Cherie has been with the Bluefin program for three years. Two years as a part time swim coach and for the last year as the assistant head coach. Cherie’s youngest son, Tristan, began swimming with the Bluefin team in 2012 after moving from Ohio. 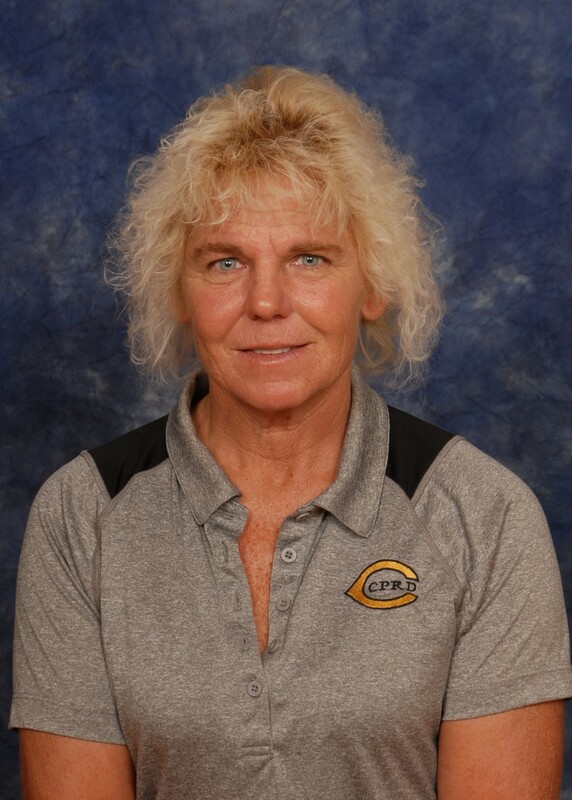 Cherie coached for three years with the Tipp Torpedoes in Tipp City, Ohio, and two years with the Miami County YMCA Marlins working with the rookies swim program. She is an ASCA level two and will be a level three in 2019. Cherie and her husband, William, have four children, Jeremiah, Ava, Callum, and Tristan. Both of the younger boys swam competitively in Ohio and Tristan with the Bluefin team in Georgia and Carrollton High School. Cherie brings her passion, enthusiasm, and love of competitive swimming to her position. Looking forward to a great season! Go Bluefins! Born in Atlanta, Ga and raised in Charlotte, North Carolina graduated from Mount Holly High School in 1971, entered the US Military and severed seven years. In his youth, he played little league baseball and Pop Warner Football. He played football and baseball in high school. He moved back to Georgia in 1980 helping on the family farm in Lowell. I retired from the Burwell Program in 2018. 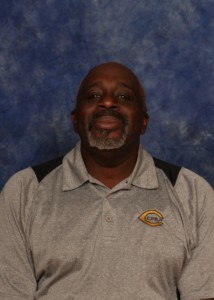 Currently, working on his 15th year with Carrollton Parks and Recreation Department. He loves working with the youth of the City of Carrollton and the surrounding areas. His hobbies consist of golf, fishing, and being with friends and family. He has two daughters, Molly, and Beth Anne. Beth Anne and his son-in-law Stanley Bearden have blessed him with a GRandson Tyler Cain Bearden. Kent started with the City in January 1995 as the Superintendent of the Parks Division. During his 23-year tenure, he has overseen many landscaping, beautification and renovation projects as well as the day to day upkeep of all city parks, recreation facilities, cemeteries, and greenspace areas. Kent received a Bachelor of Science degree in Ornamental Horticulture from the University of Georgia in 1986. Over the years he has become an Internationally Certified Arborist, a Nationally Certified Playground Safety Inspector and a Georgia Certified Landscape Professional. He currently maintains those certifications. In 2012, Kent became Parks and Facilities Superintendent as the Facilities Maintenance Division was put under his control. A major milestone in his career include the Lakeshore Gym Renovation and being involved with the conception, development, and completion of the 18-mile Carrollton GreenBelt project. 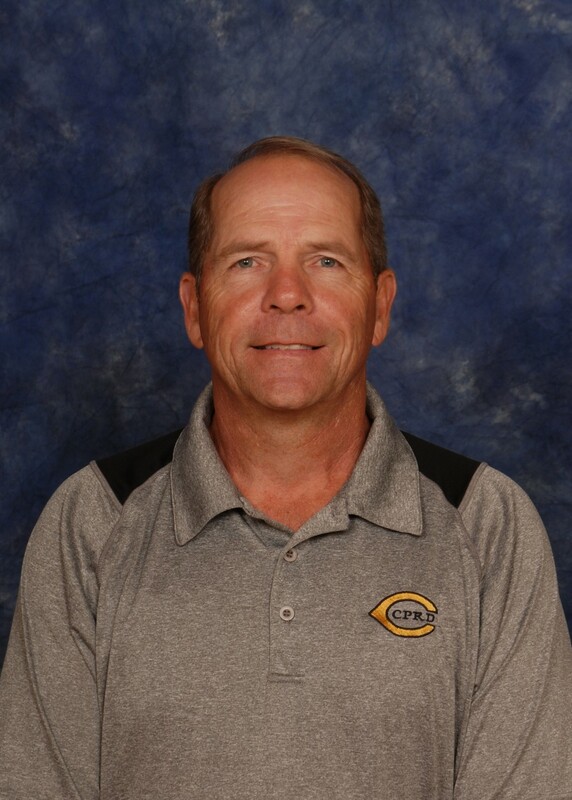 Kent and his wife, Kelly have lived and worked in the area for more than 30 years and have two amazing sons attending high school and college in Carrollton. Kent enjoys mountain biking area trails, cycling the GreenBelt and exploring natural areas with his family. He finds it satisfying to work for the City and this department where he can help to promote new and innovative recreation and conservation opportunities for current and future residents. Bart is a native of Carroll County and his family has been here for six generations. He spent four years in the US Navy as an F-14 Fighter aircraft Mechanic. Upon leaving the military he went to work at Lockheed Plant in Marietta, Ga. continuing to work on Aircraft. He worked a couple years with a local company doing commercial HVAC installation and decided to make a go at building houses and did so until 1996. He was recruited by a gentleman from Sears Product repair service in 1997 to run the HVAC Division and Lawn and Garden Division managing 42 associates. In 2008 he decided to get out of Atlanta and seek local employment and become more involved in the local activities. He started with the City of Carrollton in February of 2010 with the Recreation Dept maintenance division as a Park Supervisor and became a member of GRPA in 2015. For him, it is an absolute honor to work with a State and nationally recognized recreational dept., with some of the finest people in this community. Tim has worked for thirty-three years with the city and served for four years in the United States Air Force. He is a Facility Supervisor where he maintains and upkeeps all of our facilities. He is married and has two children and five grandchildren. He was born and raised in the Carrollton area and graduated from Carrollton High School. He also coached girls’ softball for eleven years. He is looking forward to retiring from the city one day. He enjoys life, the outdoors, camping, fishing, hiking, and hunting. Melissa Reeves is a resident of Tallapoosa, GA and a native of Mableton, GA. She graduated in 1985 from Pebblebrook High School. 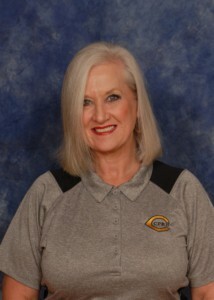 She attended Georgia Highlands College in Rome for core classes and continued her education on a part-time basis at West Georgia Technical College. She graduated with honors in 2009 with a Business Administration Diploma. Her past career path included mostly administration in the construction world. She is looking forward to a bright new career path with CPRD! Melissa has two children, Mitchell and Shanna and one granddaughter – Ryalynn Joy! She loves the nature and animals, enjoys gardening, birdwatching, horseback riding, music and an anytime trip to the beach! Carrie started working with the department in May of 2012; she previously worked at Lowe’s as their live nursery specialist. She has worked in the green industry for over thirty years as a professional grower and landscape designer. She has managed both wholesale growers and independent nurseries. Carrie develops, designs, and maintains landscape beds throughout the city and parks. She has been a member of GRPA since 2015. Her green thumbprint can be seen in almost any area of Carrollton. As a result of her extensive knowledge of plant needs and remedies for plant illnesses, she has become known throughout Carroll County as the plant doctor. She enjoys camping, gardening, fishing and working on her shooting skills. 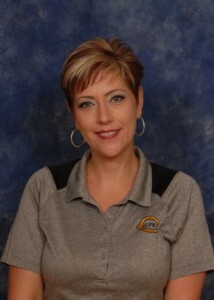 Genia started with the department in April of 2006. She maintains our Tracey Stallings Community Center, Senior Center and the Bonner Gymnasium. Genia directs and supervises our community service workers throughout the day as she travels from building to building. Genia helps develop and setup the layouts of each of our rentable rooms at the Tracey Stallings Center several times throughout the week. Her favorite part about working for the department is meeting new visitors to our facilities and assisting them in whatever needs they have. She has two children named Brooke and Matt and she has two granddaughters named Madisyn and Mylie. She played basketball for three years at Ranburne and helped develop their women’s basketball program during that time. She also enjoys watching basketball games in her free time. John is a lifelong resident of Carrollton and graduated from Carrollton High School. 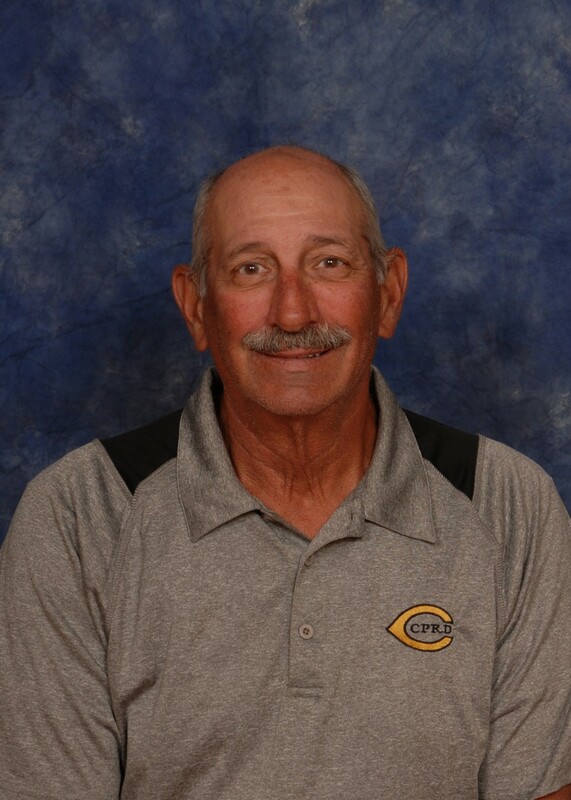 In high school, John played football, baseball, and basketball and has two sons, Max and Jett. John started working with the city in the Athletic Department and approximately two years ago moved into the Parks and Facilities Division. He is now the Field Supervisor, maintaining all athletic fields in the City. In the height of various ball seasons, he can be found on a mower or behind the paint machine making sure the lines are straight and fields are ready for play. He also oversees tournaments that take place at East Carrollton softball complex on many weekends throughout the year. Marvin came to the City of Carrollton from Farm Mutual in 1985 as a part-time employee. The same year he was picked up as a full-time employee. Marvin started out running a weed eater and is now responsible for the majority of the grass cutting throughout the city. In the summer months, Marvin will start mowing at 7:00 am and not stop until 4:00 pm, five days a week. Marvin enjoys mowing and takes a lot of pride in keeping his assigned areas in top shape. Marvin is one of our long-term associates that he plays a key role in the development of many of the parks that have been expanded in the past thirty years. Marvin’s future plans are to continue working for the department as long as possible. 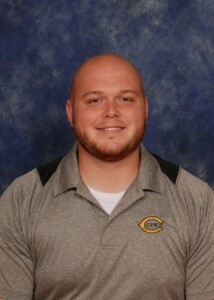 Kevin was born and raised in Carrollton and is a graduate of Central High School. He is married to Kayla and they have a son Noah. They are members of Roopville Road Baptist Church and Kevin enjoys playing and watching a variety of different sports. Kevin has been employed since May 2012. Currently, Kevin works with our Community Service workers cleaning the outside facilities and several buildings. They also set up and take down tables and chairs for various large events. Gary began working for the City in 2014. 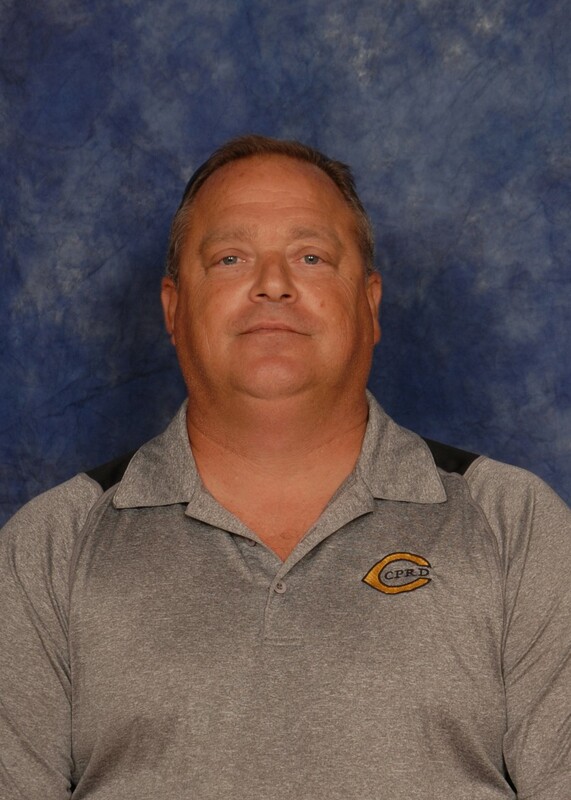 His work background includes working for Carroll County Schools and work in the construction field as well as owning his own business for 35 years. Gary is especially knowledgeable with our irrigation system and repair of our various pieces of equipment, large and small. He currently works with John Driver maintaining and improving our fields. He has raised two children, Taylor and Zack. He is a longtime resident and enjoys golf, hunting, and fishing in his spare time. Mark started working for the department as a seasonal employee in 1996 and was hired full time in 1997. Mark does mostly lawn maintenance and is part of the trim crew. He is familiar with all of our various parks and facilities since he travels to almost all of them each week. He starts each morning at 5:30 am at our Square making sure it is clean and presentable. He attends Northpoint Church and enjoys reading the bible and spending time with his family. Mark loves living a healthy lifestyle and mostly eats raw vegetables and fruit. He loves to walk every day and enjoys spending time outside in the fresh air. Ethan has been a team member since June of 2013. He has a large list of abilities and responsibilities ranging from equipment operations to maintenance and repair. Prior to working in our Department, Ethan worked at Lowe’s and for a motorcycle repair shop. Outside of work he is a musician and artist. Kenyatta Dobbs has been with the Parks and Facilities Division full time since February 2016 and was a part-time employee before that. Kenyatta has over 13 years’ experience in turf maintenance and leads a team that maintains our parks. He has two children and coaches basketball, football, and baseball when he is not working. He loves being a full-time daddy. Andrew Ledbetter began working for the Parks and Facilities Division in the spring of 2017and was quickly hired on as a full-time employee. His professional background is in sub-station construction. He is married with six children and enjoys spending time with his family and camping. 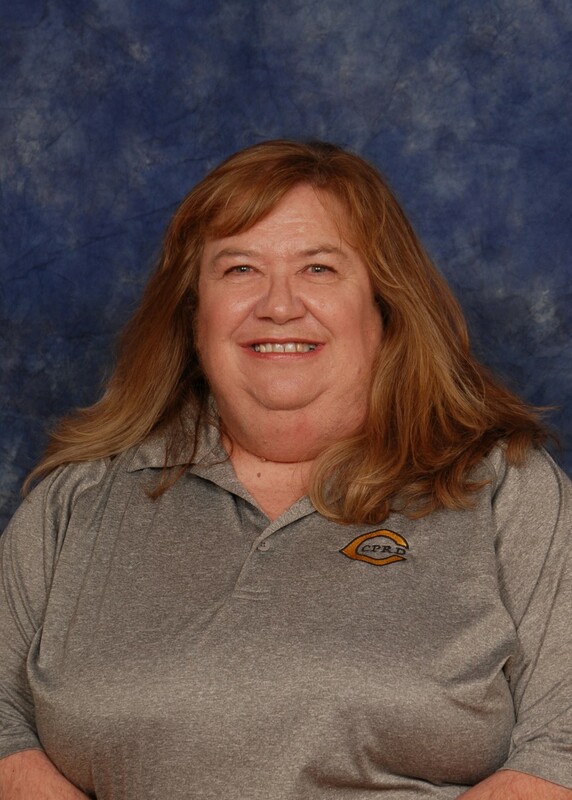 Pam started working with the department in September of 2018. She maintains Lakeshore Recreation Center. Pam also directs and supervises our community service workers throughout the day. She is a Carrollton native and currently resides in Bowdon. Pam was married for 32 years and has two children, Caan and Anna. She treasures spending time with her family and faith is a huge part of her daily life.